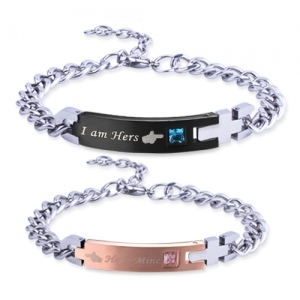 The bracelet is made by stainless steel and rhinestone that is all matched with your clothes in any occasions. 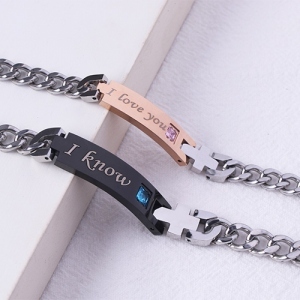 This pair of lover bracelet is the best way show your special someone how much you really care. 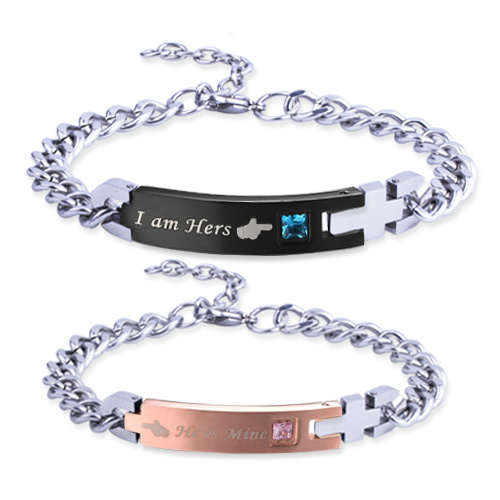 Perfect for Christmas, Valentine's Day or an Anniversary gift. 1.Please choice the lettering you need. 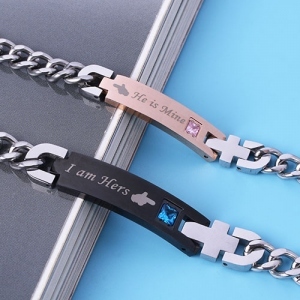 2.The pendant size include the cross. 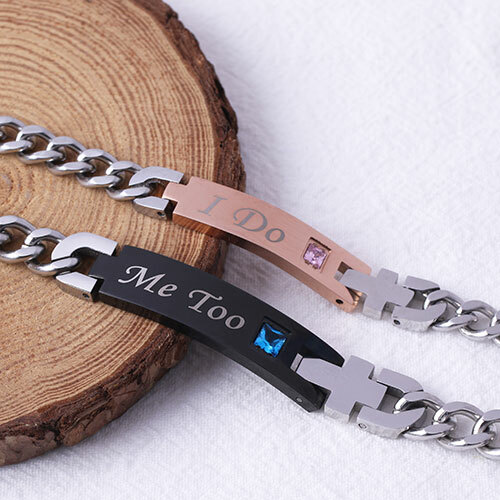 The chain length mentioned at our website include the pendant. Click here to check the chain length guide.